The Best of Martial Arts Business Daily Is A Best Seller On Amazon! To purchase on Amazon, click the image above. 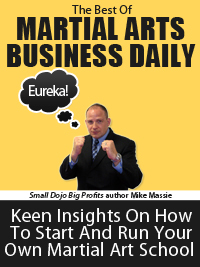 I just want to thank everyone who purchased my new book, The Best of Martial Arts Business Daily: Keen Insights On How To Start And Run Your Own Martial Art School, on Amazon yesterday. 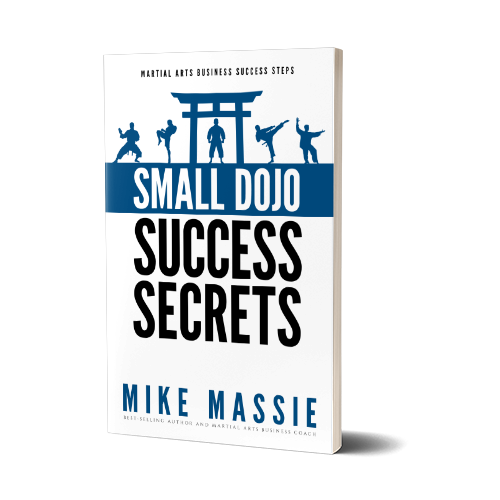 You helped push the book to #8 in the “martial arts” category, and helped it hit the top 50 in sales in three separate Amazon best seller categories, so thanks! Just a reminder, you DON’T need to own a Kindle to download and read this book. All you need is a computer, tablet, or smart phone and the Kindle app for your device (it’s free and easy to find in the iStore, on Google Play, or on Amazon.com itself). The book itself contains my best content from the MABD blog over the last three years, compiled and organized so you can read it in small, bite-sized chunks. Plus, the table of contents is “clickable”, so you can pick a topic and just go straight to what interests you most. I tried to review your book on Amazon but something happened. I give it 5 Stars. Here is the review I tried to write, but was unsuccessful for some reason. Thanks for the five-star review!